Contents: 10 batteries +Hitech Single rapid Charger For Psion/Teklogix 7535 Scanner battery#HU3000/1030070 and equivalents. 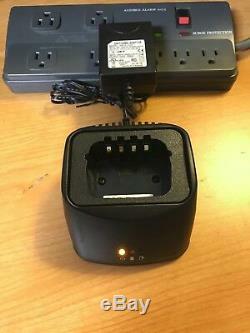 Futures Specification: The battery charger with Switch AC/DC Adapter(UL/CSA/RoHs) -=Input AC 100V-240V , Output: DC12V 1.0A. Battery packs: 10 Batteries P/N. HU3000,1030070 (Japan Liion 7.4v2600mAh cells) 7535 Series. Hitech OEM battery(factory ISO9001). Fresh Liion cells of Made in Panasonic/Sanyo Japan-battery packs QC Assemble in Taiwan. 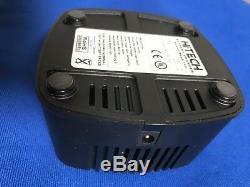 Hitech-GNgroup Battery/charger quality 100% guarantee for 2 years, the charger life for over 10 years. We are not related to the trademarks (or brand names) listed, and above descriptions are for cross reference only. All items on this listing shown with various trademarks, brand names and logos ("Marks") are for reference purposes only, and are not for sale. The Marks are the properties of their respective owners, and we are not authorized to manufacture or sell any items bearing such Marks to any third party. We will contact customer immediately if there is any order delay. Custom clearance speed varies in countries. You may track the package at ups. We do not mark merchandise values below value or mark items as "gifts" - US and International government regulations prohibit such behavior. Our customer service office is located in California, US and our factory is located in Taiwan. To enhance the freshness of the battery packs, all battery packs are made to order only. The item "10 batteries+ Single Pro Charger(UL/CE)For PSION/Teklogix 7535#HU3000/1030070" is in sale since Monday, August 11, 2014. This item is in the category "Computers/Tablets & Networking\Printers, Scanners & Supplies\Printer & Scanner Parts & Accs\Other Printer & Scanner Accs". The seller is "hitech-gngroup" and is located in Walnut, California. This item can be shipped worldwide.